NARS Guy Bourdin One Night Stand Blush Palette On Sale Now! 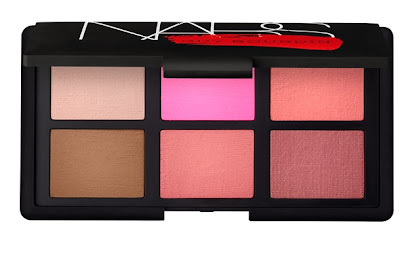 That's right the wait is over...well nearly as Space.NK have just popped up the NARS Guy Bourdin One Night Stand Blush palette for pre-order. "Guy Bourdin’s colour-saturated photography brought to life a rule-breaking world of dangerous women and intriguing sensual decadence. François Nars pays homage to Bourdin’s seductive, suspenseful images with a Cheek Palette of signature shades and dramatic blush debuts." Have I pre-ordered? You betcha! I predict a sell out, so much so I doubt there will be any left come Sunday for its eventual launch. Oh my goodness I want this SO MUCH! Its beautiful o_O i want it! I used the code SMKGLASGOW and got free delivery and it says my address as delivery address so saved £5! Seen it on a blog :) cant believe i just spent £45 on blusher though ahhh! Oh its so nice, I really want it. I have two of the colours already, I can't deside should I buy it??? Ohhh, those colours look amazing! A superb palette...M all hearts for it! I need to get my hands on this palette! So gorgeous!